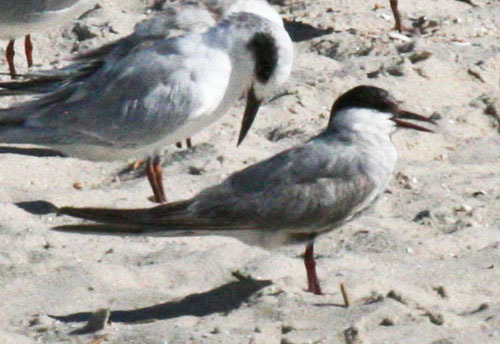 On September 12, 2014 a Whiskered Tern was identified at Cape May, New Jersey. The Rare Bird Alerts were immediately filled with reports of this sighting, because it is only the third time that a Whiskered Tern has been recorded in North America. It is classified as an ABA Code 5, the rarest of the ABA classifications. 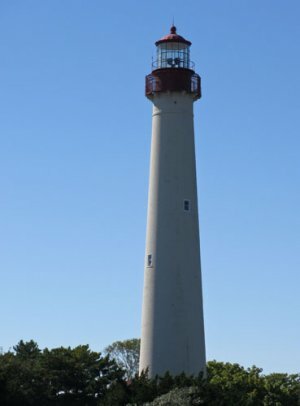 The prior sightings, both in the Cape May area, occurred in the 1990s. we saw dozens of observers with scopes and binoculars lined up on the Hawk Watch platform at the north end of the parking lot. We joined the lineup and immediately saw the Whiskered Tern snatching insects from the surface of Bunker Pond as it engaged in swift, acrobatic flight. It soon disappeared toward the Atlantic Ocean and we walked a short distance to the beach, hoping to re-find it. 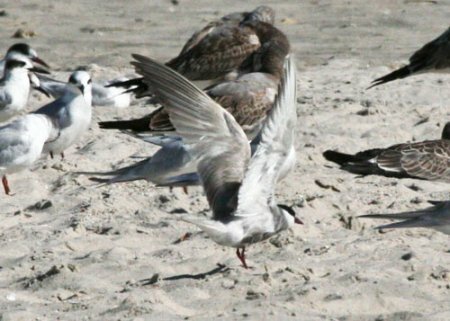 It was there and Barbara was able to photograph it among the other terns and gulls resting on the sand. 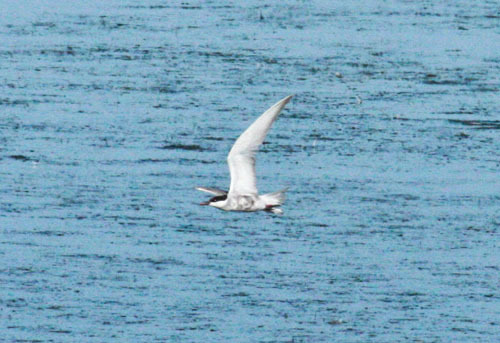 After a few minutes the tern took off to return to the pond to feast on more insects.